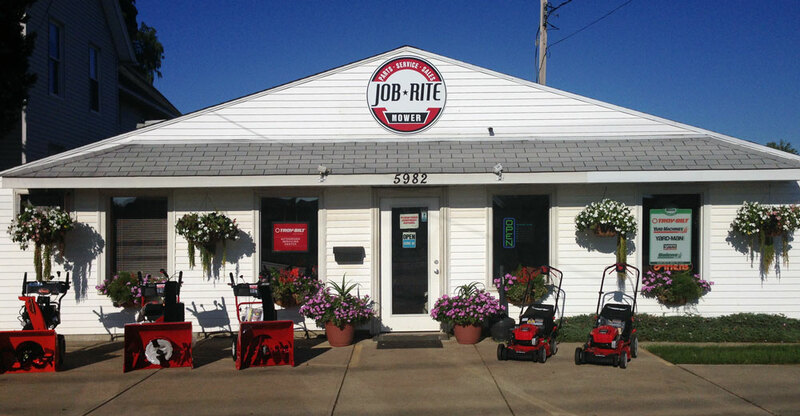 Job-Rite Mower has been conveniently located 1 mile south of I-480 on State Road for over 25 years. The Job-Rite Mower staff, with over 80 years of industry experience prides itself on customer satisfaction, product knowledge & expertise and most important – getting the Job done right the 1st time! We proudly service most equipment and engine types and most brands of outdoor power equipment in order to be a convenient one-stop solution for all your parts and service needs. If you are looking to replace your old product, we offer Ariens snow blowers and Troy-Bilt mowers, trimmers, blowers and tillers. Product too big? We also offer pick-up and delivery to most areas. Look forward to serving your needs soon.